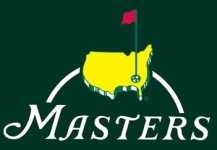 The picks and round one standings for the year's first major are up on the site. We chose 26 golfers. Everybody likes Tiger. Almost everybody likes Phil too; he was picked by all but one of us. Rose was pretty popular, showing up on 12 teams. Eleven of us think Rory has figured out his new clubs. Kuchar made the cut for 8 players. Keegan is on 7 teams. Westwood got the nod 6 times. Despite still missing 2 letters in his first name, Charl was chosen 5 times. Poulter is the only 4-bagger. Shrek is the only trey. McDowell, Snedeker, Day and defending champ Bubba are the deuces. Twelve unique picks. Chris is the clear leader with 3. Jordie, Randy, Hugh, Bill, Dan, Brett, Mike M. and both Daves have one each. Shelley, Steve, Brian, Mike D. and I will not know Masters uniqueness in 2013. Well, this is it. Spring is officially here. I have been starring at the countdown clock on the website for the last 3 weeks, I bought out Kroger's pimento cheese stock, yelled at the neighbor's azalea bushes until they bloomed... oh hell yes I'm ready for this. This is the only tournament I really don't care how my team does (though winning would be nice), I just want to watch the history and the lore. "A Tradition Unlike Any Other"... damn straight.